1. 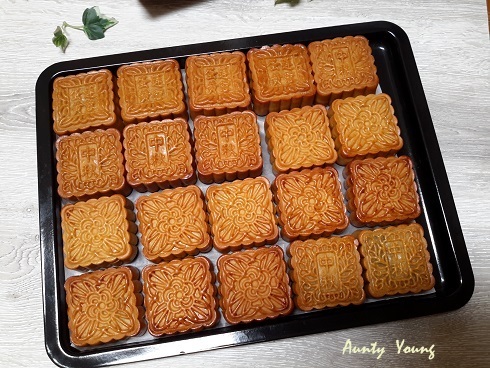 Mooncake Pastry : Mix ingredients A till well combined. set aside for 30 minutes. Divide into 12 portions(each portion 45g). Roll into balls. 2. Filling : Mix the lotus seed paste and roasted melon seed well. 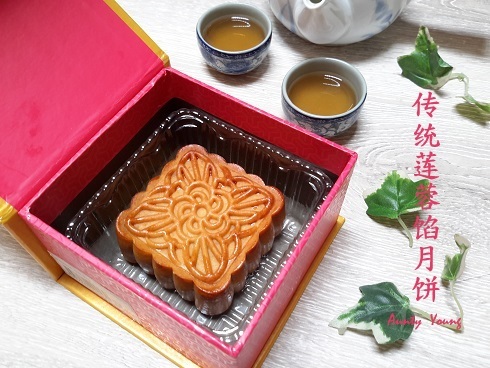 Devide lotus seed paste into 12 portions(each portion 80g). Roll into balls. 3. 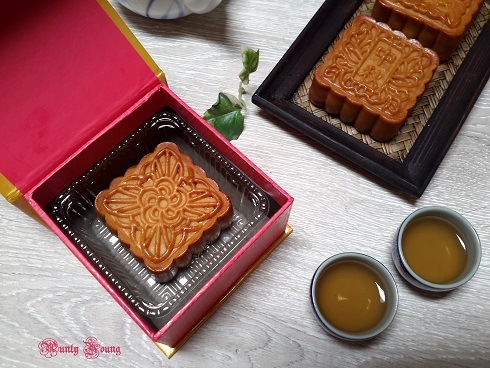 Wrap filling with mooncake pastry. Roll into balls. 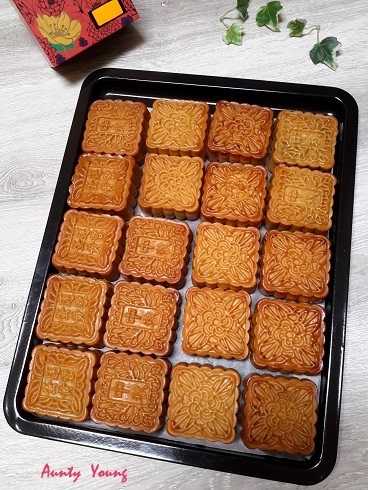 Press into mooncake mould, Tap lightly to de-mould. 4. Bake in a preheated oven at 180°C for 10 minutes. Remove and leave to cool, for about 10 to 15 minutes. Brush the top with beaten egg yolk. Bake in oven again for 10 to 15 minutes till golden brown. 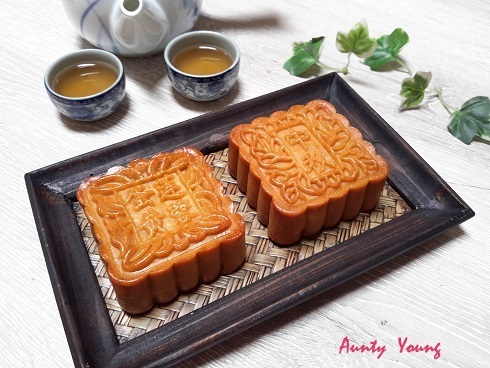 Aunty Young, your mooncake looks so gorgeous & sharp. I'm too busy to make anything this year. 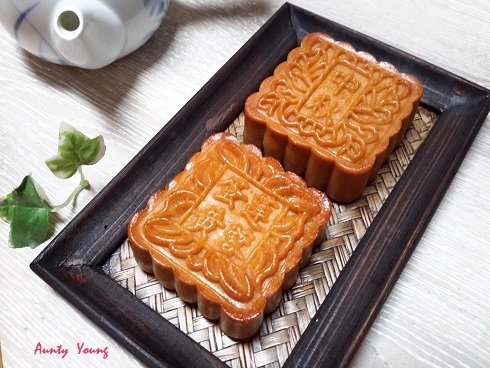 Wishing you a very happy mooncake festival.